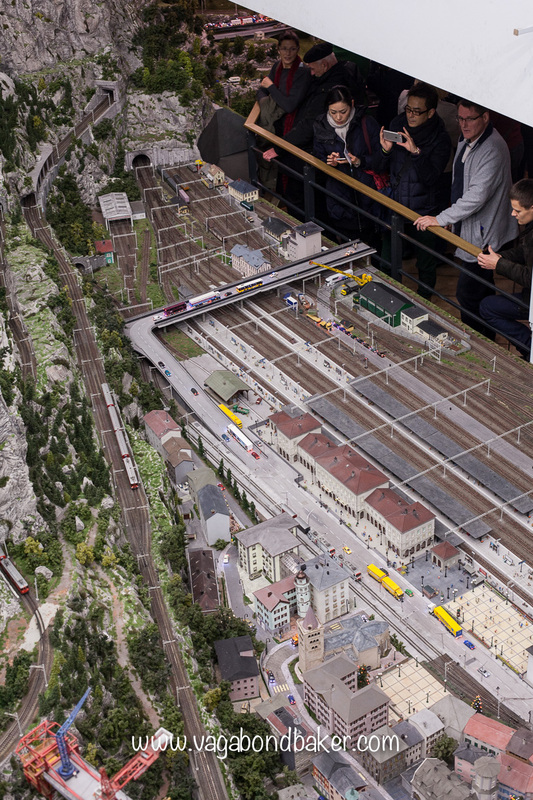 The world’s biggest model railway? 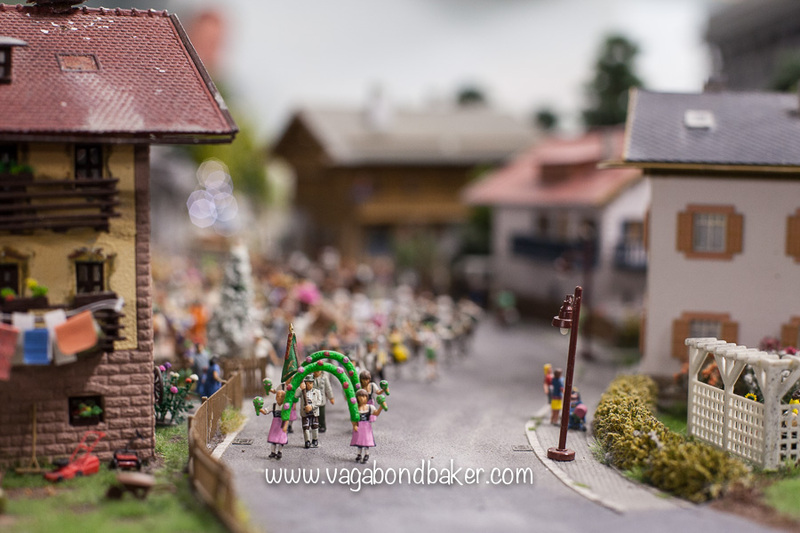 As far as tourist sites in Hamburg go, the Miniatur Wunderland had my name written all over it! 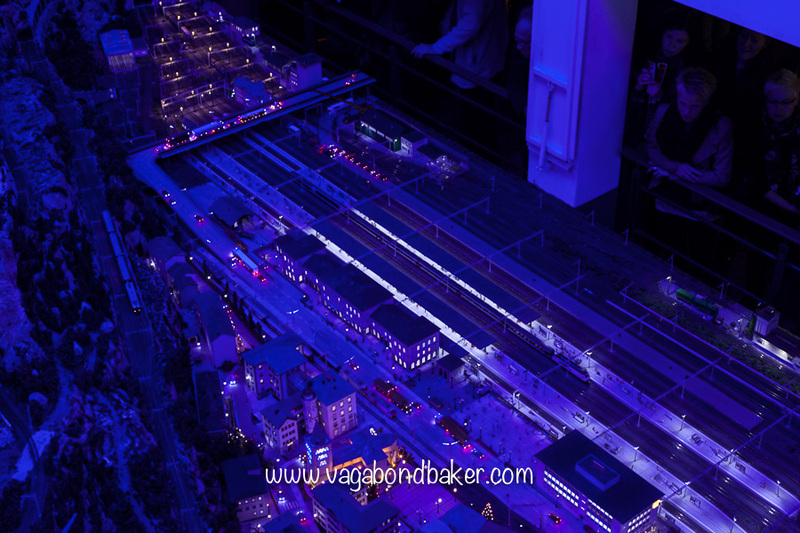 I went as a train geek – I will confess now, unashamedly, as having a Hornby model railway as a child – yet I came away with the absolute certainty that the Miniatur Wunderland is a must-see, whether you are a train geek or not: it is, quite simply, astounding! 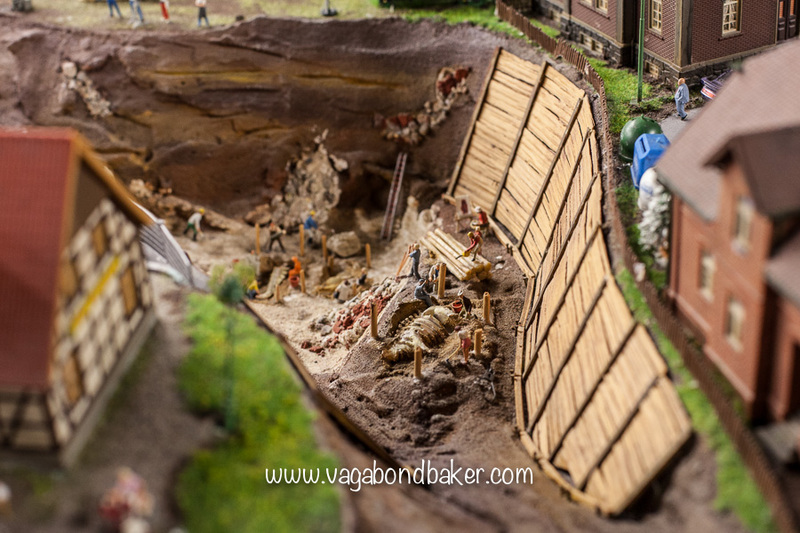 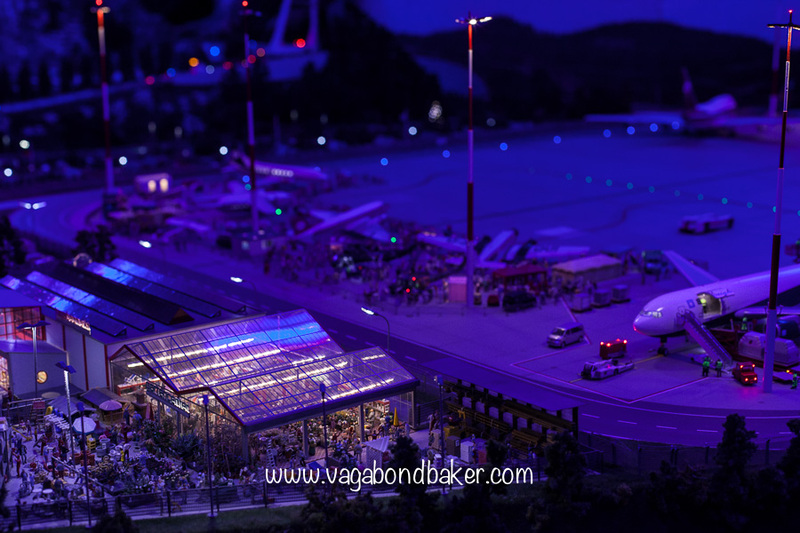 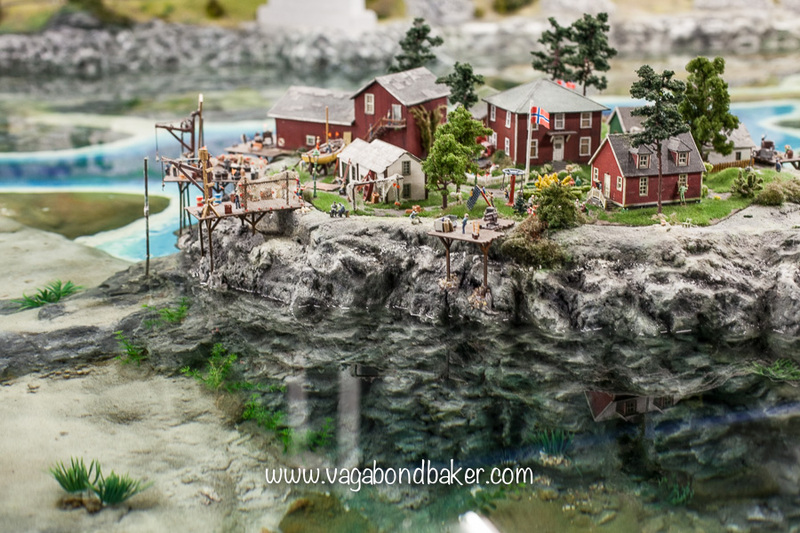 Miniatur Wunderland is constructed on a grand scale, and it is forever evolving and growing with the enthusiasm and inventiveness of its creators. 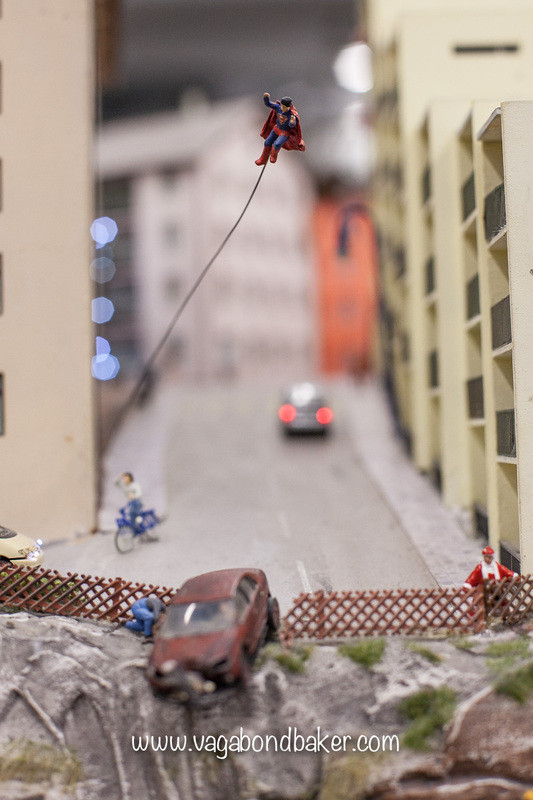 They have built tiny worlds filled with tiny people: tiny scenes playing out with humour and brilliance. 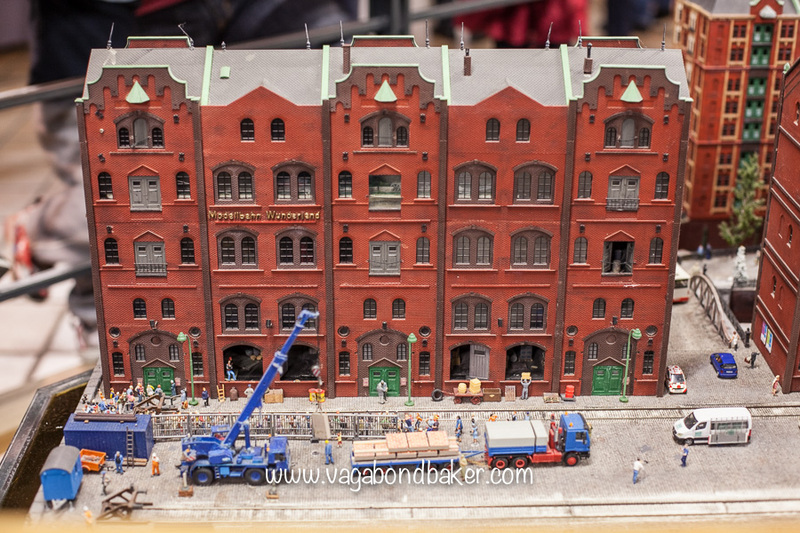 Miniatur Wunderland is located in the Warehouse District of Hamburg, in an old brick warehouse, and is laid out over a couple of floors. 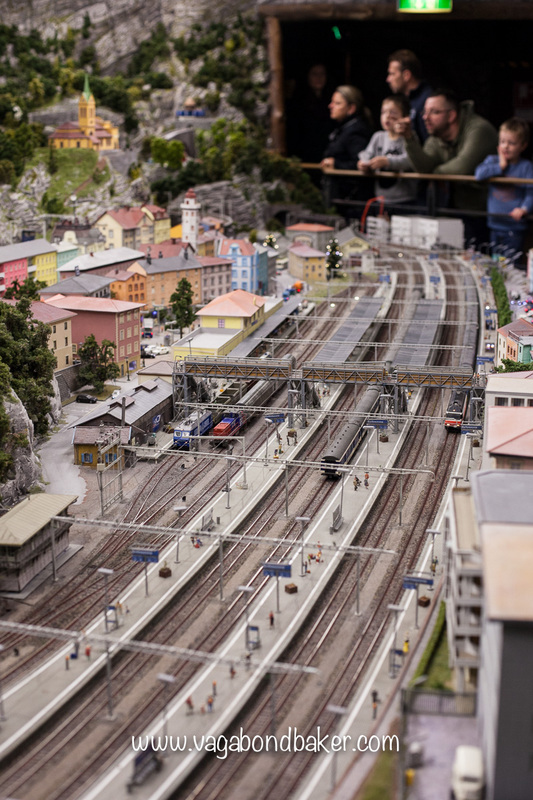 The railways are set out in regions: central Germany, Hamburg, Scandinavia, America, Switzerland, Austria – more ‘inspired by’ than specific recreations. 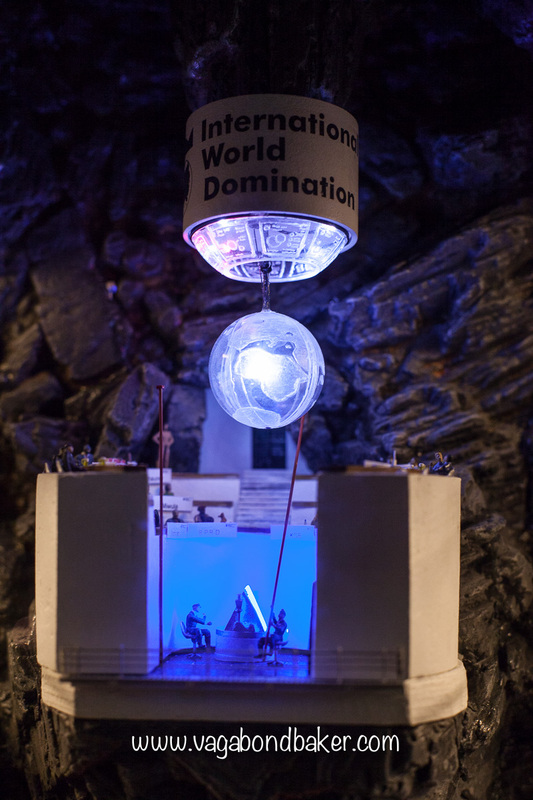 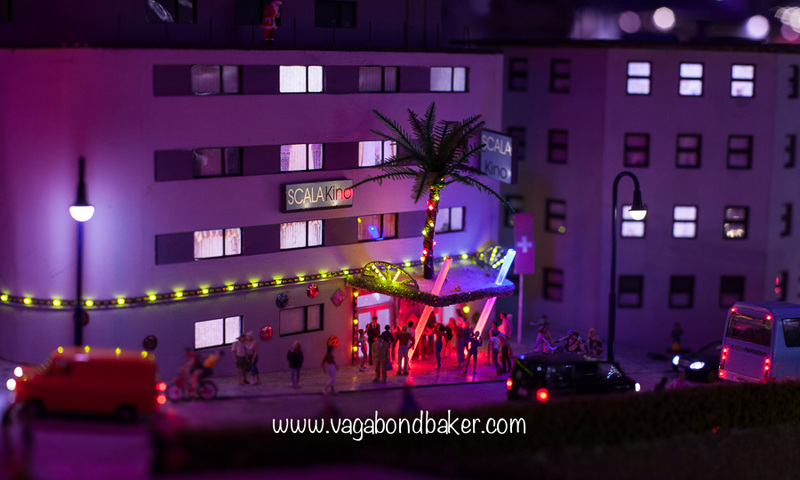 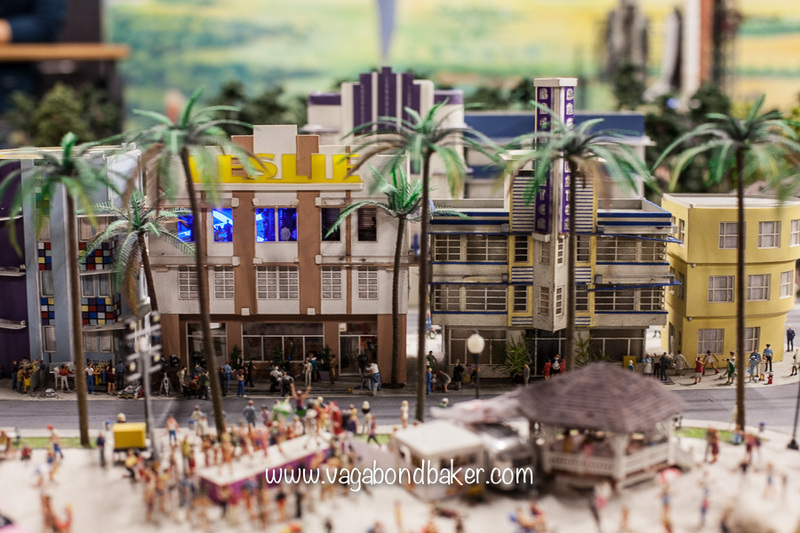 The models are interactive, little buttons dot the barriers allowing you, the visitor, to make magic happen: set cable cars in motion, make cranes lift, hot air balloons fly, trumpeters trump, rock stars perform, and produce your very own bar of chocolate! 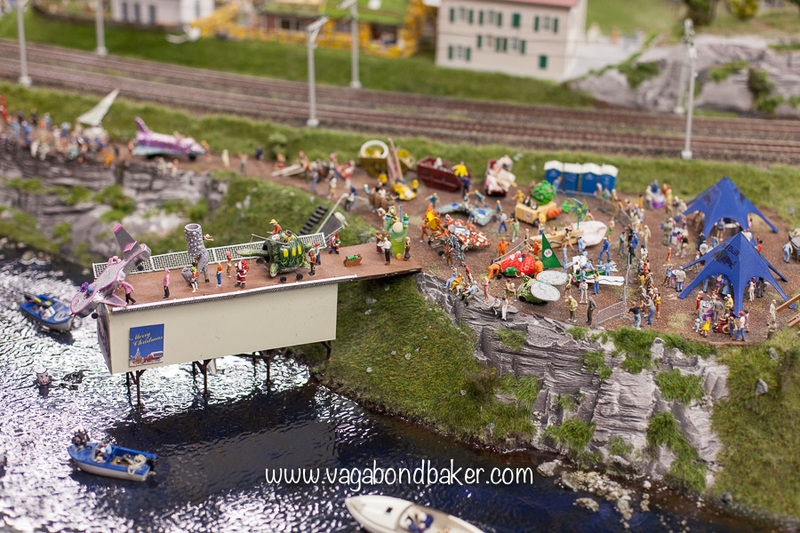 It is the tiny people that make the Miniatur Wunderland a wonderland, these minute characters fill the dioramas with life and vitality: they are waiting at platforms, lounging by pools, partying in ice hotels, parading through towns, swimming in rivers, exploring caves, playing football, fixing ships, there must be millions of them! 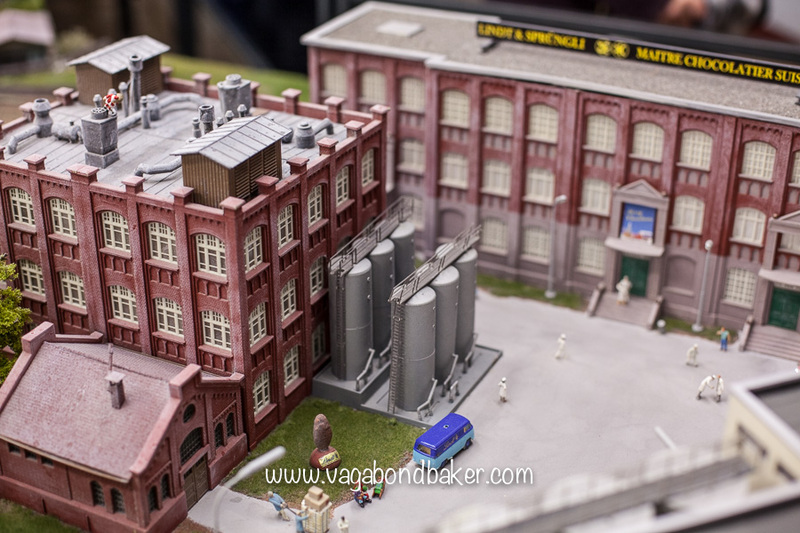 Lindt Chocolate Factory, makes real chocolate! 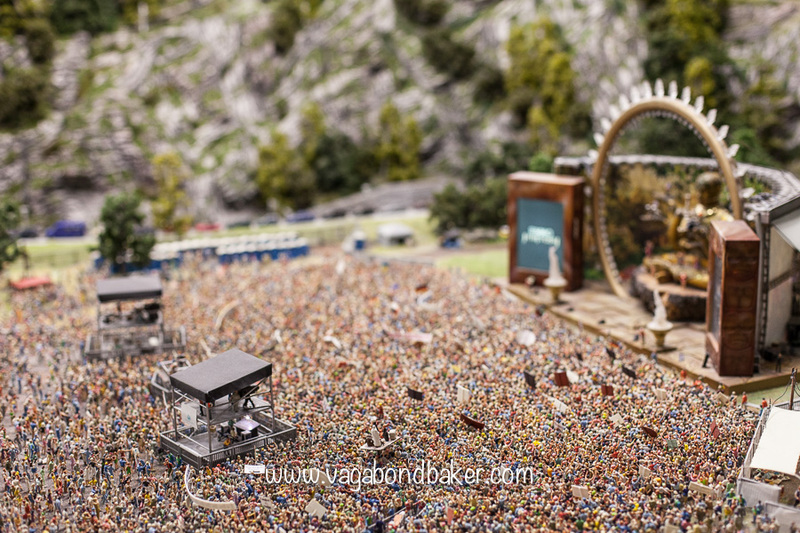 The music festive scene alone must contain thousands, they are packed into a crowd, banners waving, it’s incredible! 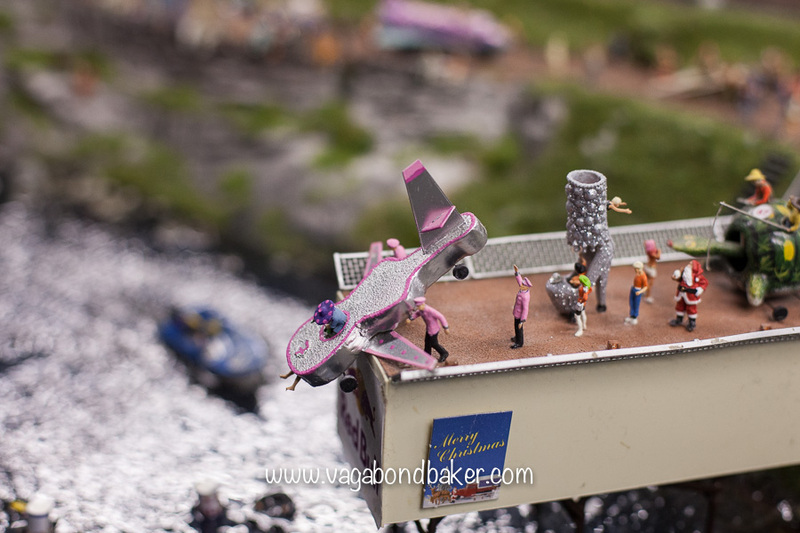 There is a lot of humour in the scenes, the people of Miniatur Wunderland are often doing crazy things, like the Red Bull race. 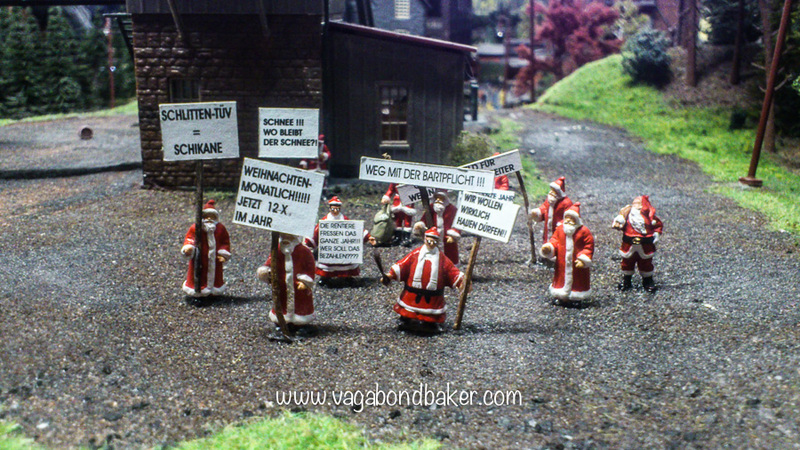 There were some Santas protesting something and at the scene of a Swiss car crash Superman was flying in to the rescue! 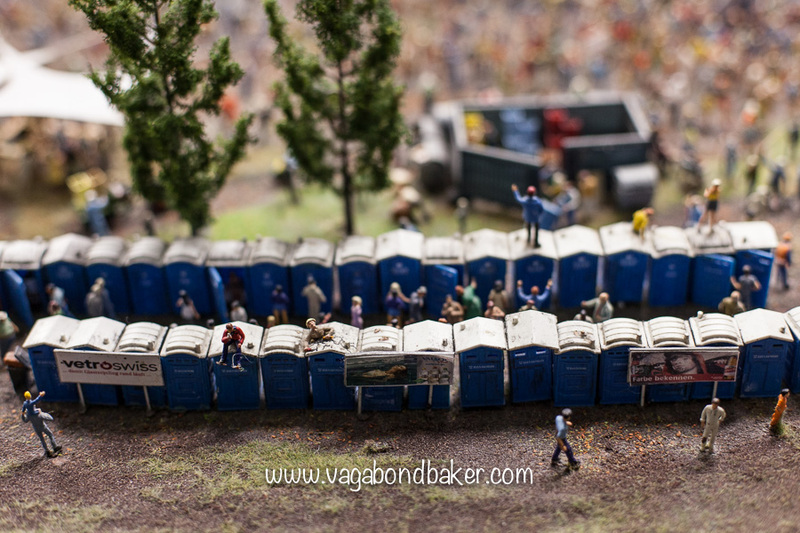 I wandered around for a couple of hours, constantly finding new amusing things. 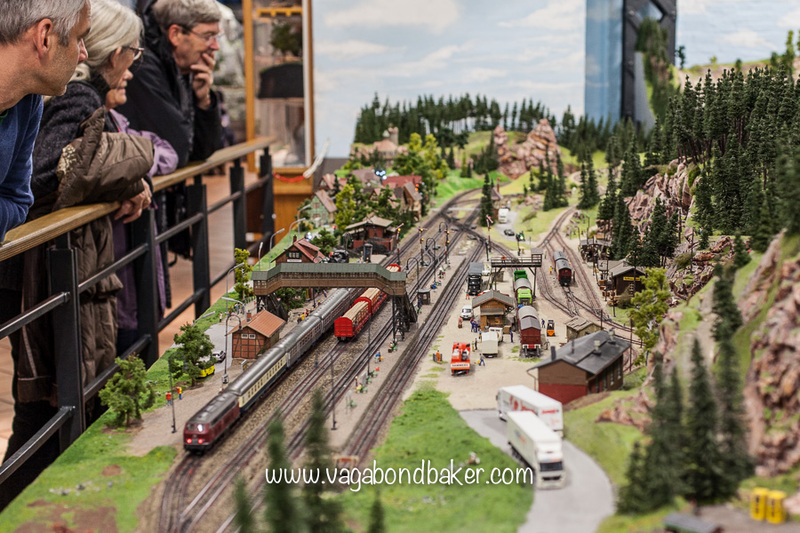 It occurred to me that I hadn’t noticed the trains that much, there was just so much to see that the trains were something happening in the background! 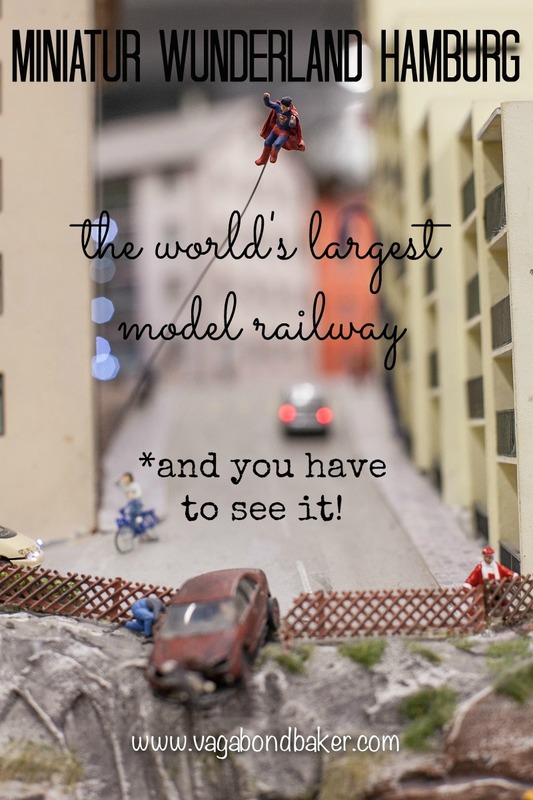 Not that the guys in the ‘control room’ would agree with that! 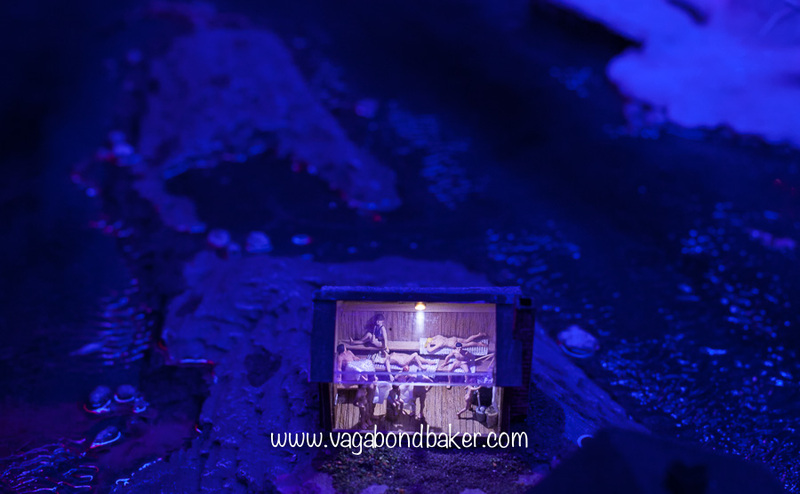 Every fifteen minutes or so (I never timed it) darkness falls onto the Miniature Wunderland and it becomes night for a few minutes, not sudden darkness: the dusk would fade through the rainbow of sunset and the day would begin with a colourful dawn. 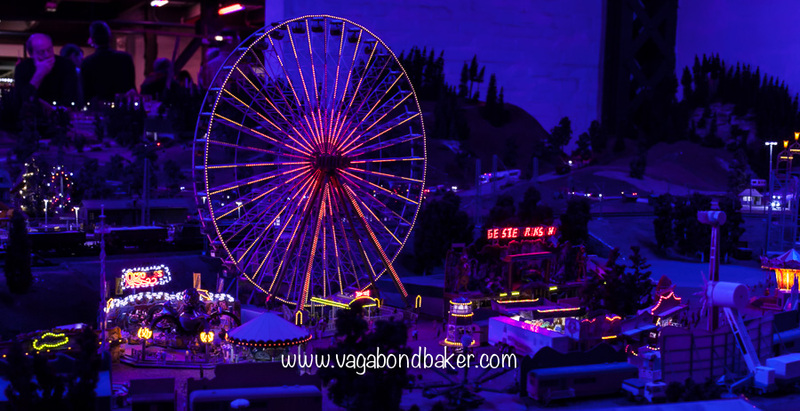 In the dark lights come on inside buildings, on trains, the fairground lights up. 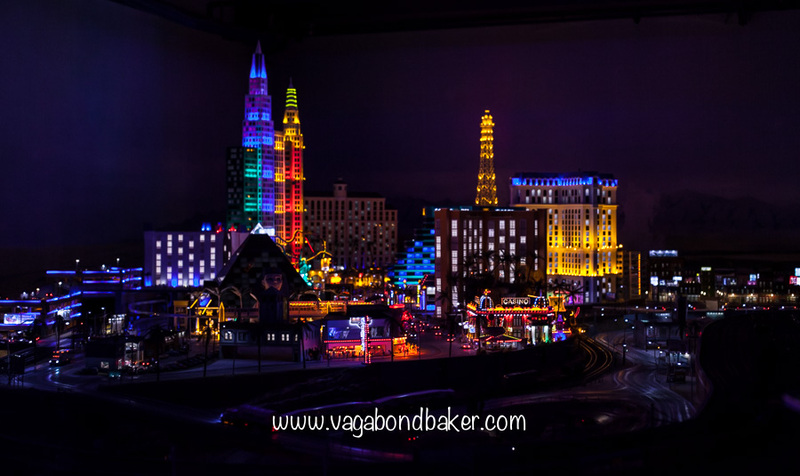 In the America section, Las Vegas looks amazing with its colourful illuminations and the art deco buildings in Miami come to life in bright neon. 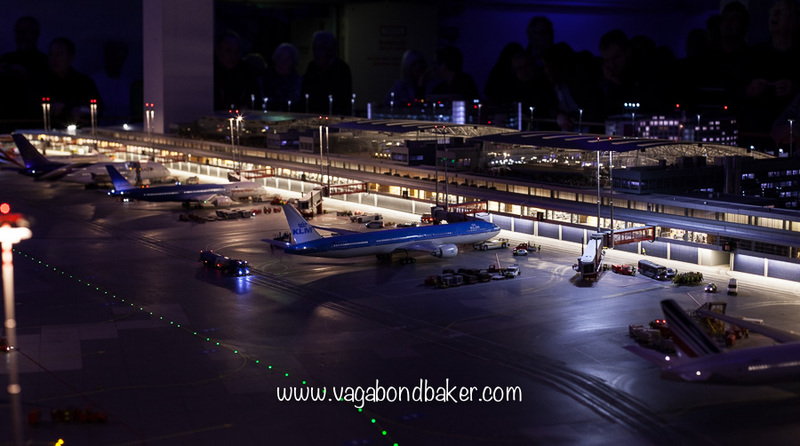 Possibly the most extraordinary scene is the airport. 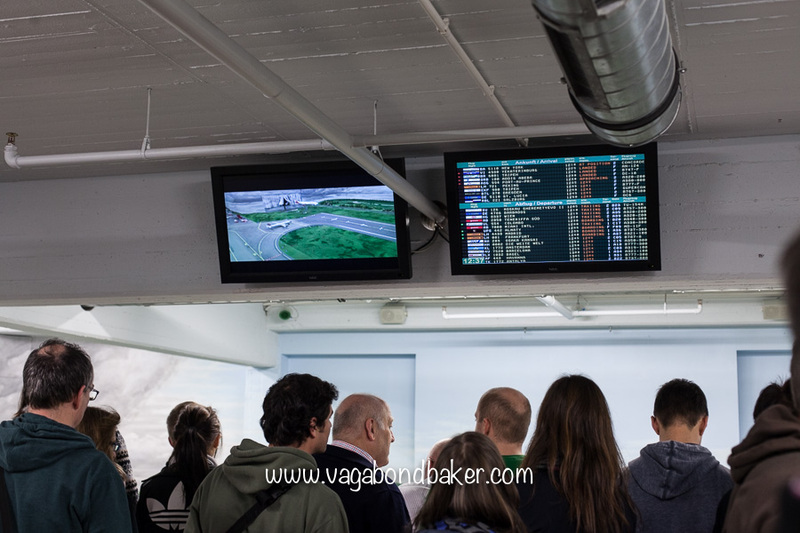 It has its own departure board, planes taxi on the runway and, most surprising of all, they take off and land! 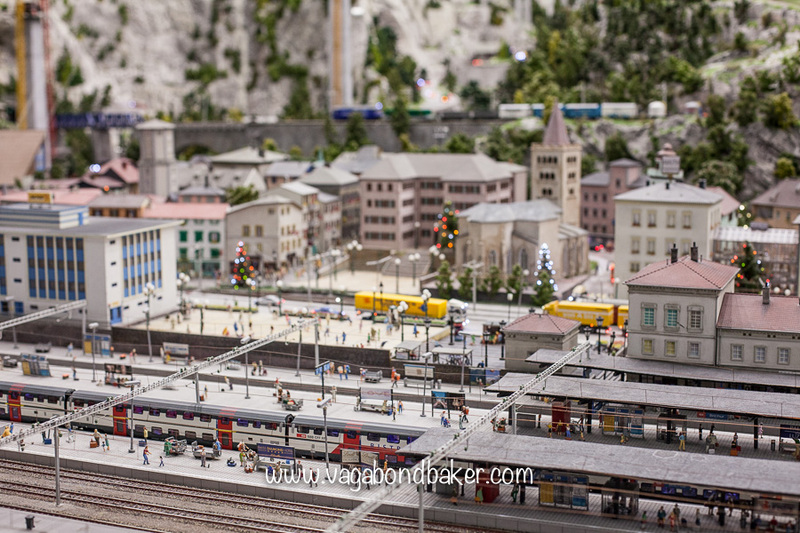 Even on a late November weekday the Miniature Wunderland (Official Website) was busy, I would advise avoiding weekends I think. 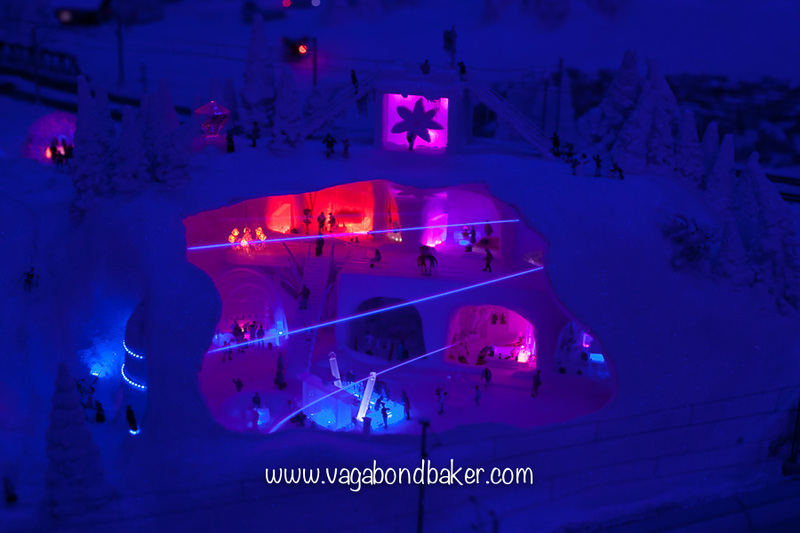 It cost me €12 (2014) to enter and it was worth every euro. 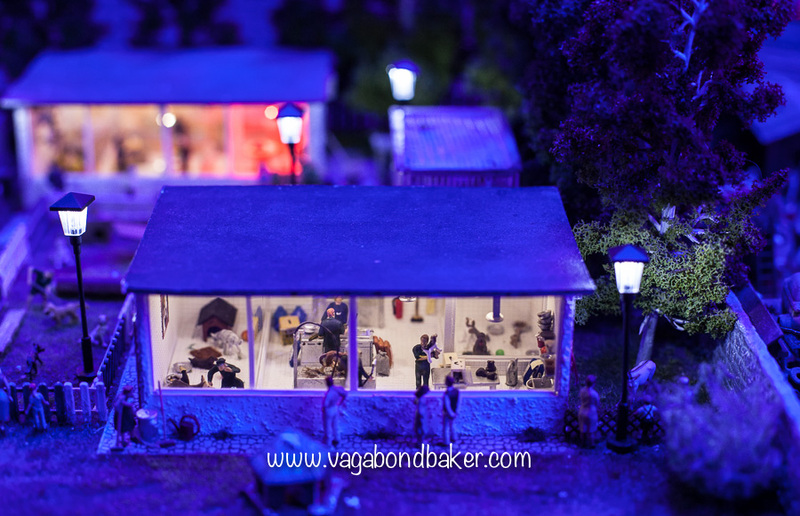 You really don’t need to be interested in trains or model railways to enjoy the Miniatur Wonderland, it is a magical world that will entertain and wow you, and awake your inner child. 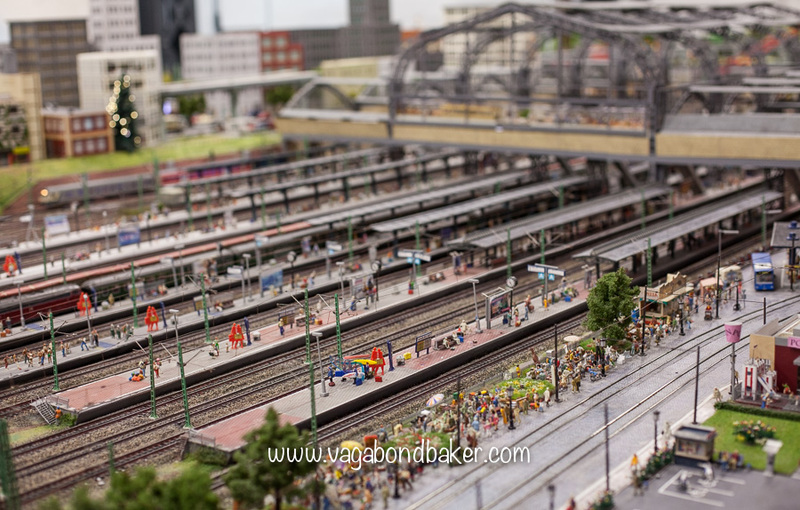 I spent two nights in Hamburg en route to Copenhagen from Amsterdam by train. 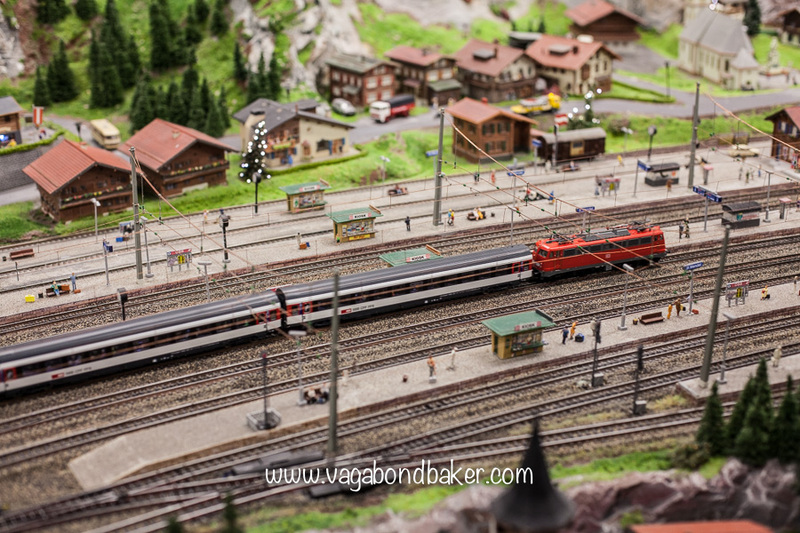 Crossing Siberia By Train, Fulfilling a Dream I like big trains too! 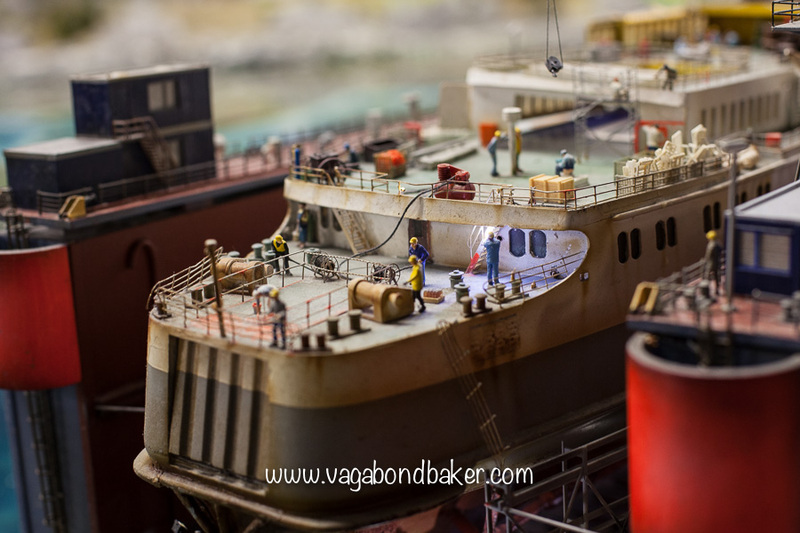 24 Hours in Rotterdam on a Monday Rotterdam is architecturally fascinating, and the new market hall is stunning! 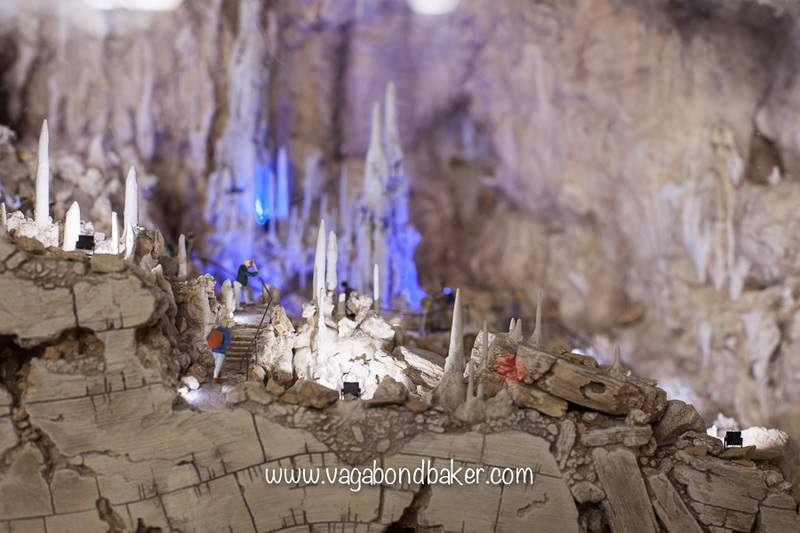 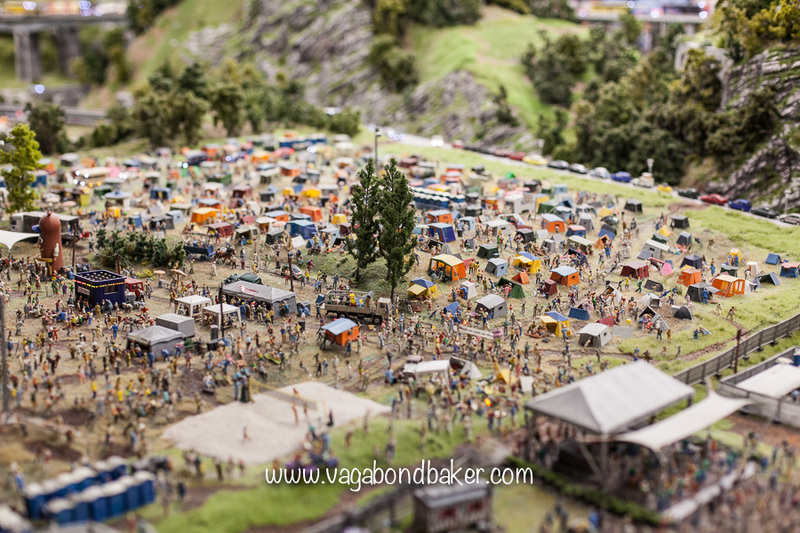 Have you been to Miniatur Wunderland? 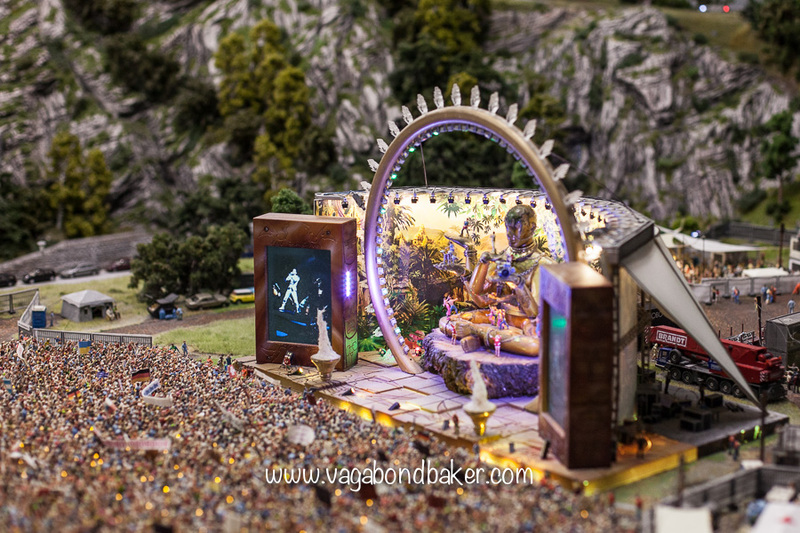 Would you go?